I am deeply troubled by the deaths of 14 dogs in the Pueblo Animal Shelter under a new contractor. But I am also mindful that Pueblo’s recent problems are not the outcome of the Pueblo Animal Protection Act (PAPA). The new law explicitly authorized the “euthanasia” of dogs who were suffering. As noted by Doug Rae of the Humane Society of Fremont County (HSFC), who spent over 150 hours trying to fix the problems after the recent state inspection, they died because of mismanagement and incompetence by the contractor. And those animals would have died under the new contractor regardless of whether PAPA was law or not. Please do not sacrifice the well-being of Pueblo animals under a misunderstanding of cause and effect. At the beginning of this year, two changes occurred simultaneously in Pueblo: a new contractor took over animal services for the community and a new law went into effect. Unfortunately, bad outcomes relating to the former are being conflated with the latter; though, in truth, they are unrelated. That is, given the level of dysfunction in the operations that have been uncovered, whether or not PAPA was in place would have made very little difference in terms of day to day care that the animals received. Indeed, PAPA was not the only law that was violated by their implementation, yet no one is suggesting that those other laws should be blamed or repealed as a result. Indeed, were both the spirit and the letter of PAPA followed, the result would have been dramatic improvement, not the debacle of poor care and mismanagement that ensued. While you are considering returning to normalized killing in the shelter, most communities are moving in the other direction. This week, for example, the Austin, TX, City Council voted unanimously on a resolution to increase its minimum placement rate from 90% which it set in 2010 and which Austin Animal Center has achieved ever since, in favor of a 95% minimum placement rate in its city shelter. In fact, the City Council was talked down from a resolution embracing a 99% placement rate consistent with the success of Austin itself, which surpassed 95% in 2016 and achieved a 98% placement rate in 2018. And they are not the only ones. Pueblo has taken an important step on the road to No Kill by passing mandates that ensure lifesaving outcomes for the animals in your community. Were these mandates to be implemented with professionalism and integrity as they have been elsewhere, dramatically positive outcomes would ensue. Unfortunately, the organization chosen to oversee Pueblo’s shelter was not up to the task of running a shelter, irrespective of whether or not that shelter was following No Kill mandates or not. Clearly, it is time for a new contractor, but it is not time to return to daily killing. Using concerns about animals dying to return to killing them as official policy, as was the case for many years before PAPA, would make no sense. It is an ethical and logical contradiction. Instead, it is time to find a contractor capable enough to do the job you entrust to them. Next door to Pueblo is a shelter with one of the highest live-release rates in the nation, a shelter that is beloved and celebrated by the community it serves, and which has become a model for the rest of the nation. That this shelter with a proven track-record of lifesaving success and high quality animal care has offered to extend its services to Pueblo is an exciting development, and one that the City and County should welcome. Not only would allowing the Humane Society of Fremont County to take over animal services for Pueblo solve the current crisis of care, but it would solve the surmountable problem of shelter killing, as well, vindicating your prior action of mandating, by law, the most humane and life-affirming care for the your community’s neediest and most vulnerable animals. At the very least, before making the decision to return their care back to those who are committed to using convenience killing as a means of achieving results, we urge you to give HSFC a chance by giving them a short contract to clean up the mess left by the current contractor and prove to you what they are capable of. Let HSFC demonstrate that what you had hoped to achieve when you passed PAPA is not only feasible for Pueblo, but, as it now is for Fremont County, can be a reality, as well. As for the anti-No Kill bashing, tragically, regressive organizations are trying to exploit the incompetence of the new contractor to repeal PAPA because they are deeply threatened by it. The head of the Denver Dumb Friends League (DDFL), an organization that has long fought progressive sheltering policies and operates in a city that still kills dogs because of the way they look — one of only a small number of Colorado cities with a “pit bull” ban despite their racist origins and documented failure to increase public safety — is leading the charge. 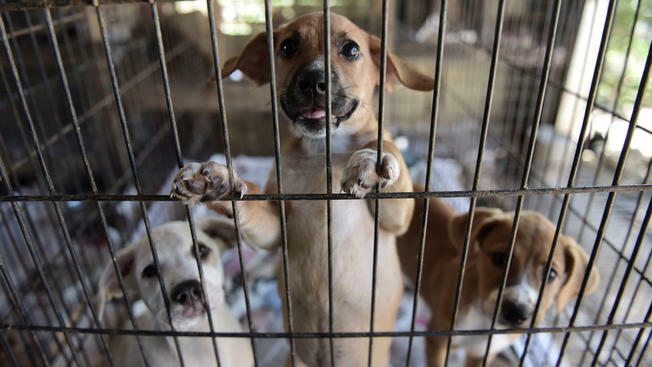 The Executive Director of DDFL says that Pueblo should not worry about placement rates and instead treat all animals as “individuals.” We could not agree more. That is the very core of the philosophy that underlies PAPA. The irony is that if you treat all animals as individuals, you end up placing well over 90% of them. It is also why communities with “breed bans” are so regressive. They don’t do that. Instead of claiming a false concern about what’s going on in another city about which they know nothing about, DDFL and its allies should worry about their own cities which continue to enforce unethical policies that are are out of step with history, science, good sense and which destroy families by killing their pets. Do you really want to follow the advice of organizations who operate in cities where dogs and cats continue to leave shelters in garbage bags?